Top Gear fans, rejoice! 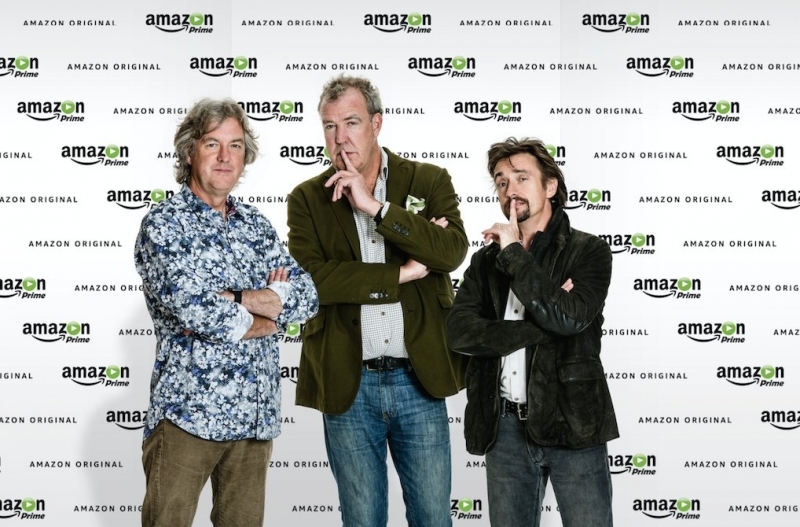 Amazon has signed Jeremy Clarkson, Richard Hammond and James May to host a new car show that’ll be available exclusively for Amazon Prime members. The contract calls for a minimum of three seasons, the company said earlier today in a press release. Jay Marine, Vice President of Amazon Prime Video EU, said customers told them they wanted to see the team back on the screen and they are excited to make that happen. The first season of the unnamed show will debut in 2016, Amazon said. It’ll be produced by the trio’s longtime executive producer Andy Wilman, who also left the show following Clarkson’s dismissal earlier this year. Wilman told the BBC that the show’s format would contain themes that people are familiar with, adding that they’re all really excited about the fact that they’ll be free to produce programming without someone telling them what they can and can’t do. Back in March, Clarkson got into an argument with Top Gear producer Oisin Tymon over catering arrangements. According to reports, Clarkson assaulted Tymon which led to his dismissal later that month. Co-hosts Hammond and May ultimately left the show as well, bringing an end to the world’s most popular factual television program. Despite rumblings that Amazon or Netflix may sign the trio, many believed they would never again appear together on a car show. Amazon’s signing of the three is a huge get for its original programming division as it’s sure to attract millions of viewers.